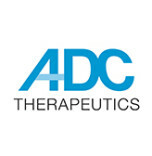 ADC Therapeutics is focused on the development of proprietary Antibody Drug Conjugates (ADCs) for the treatment of both solid and hematological cancers. ADC Therapeutics employs monoclonal antibodies specific to particular tumor antigens conjugated to a novel class of highly potent pyrrolobenzodiazepine (PBD) – based warheads to selectively kill cancer cells. Selective targeting means fewer side effects for patients and ADC Therapeutics believes the unique PBD mode of action will result in a superior efficacy and resistance profile.